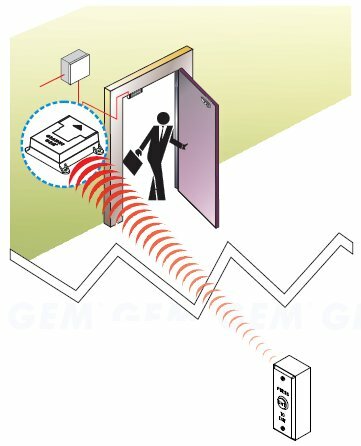 Wireless push-buttons allow the "Request To Exit" or "Door Open" functions to be controlled remotely in a location away from the door - and with no cabling! Applications include DSE access & egress through powered or access-controlled doors. Manufactured in stainless steel with a brushed finish the unit features a raised push-button and "Press To Exit" legend.